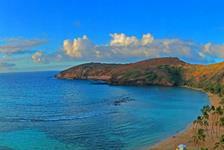 Experience history when you book a Pearl Harbor Memorial tour through ReserveHawaii.com. 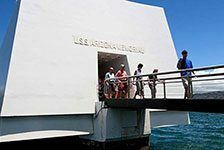 We offer several different Pearl Harbor tours. Each tour includes a guided tour of the USS Arizona, where visitors will learn fascinating information about this pivotal time in America’s history. From the Oahu Circle Island tour, which takes you to the USS Arizona memorial and Oahu’s best beaches and sightseeing locations to the Pearl Harbor/Dole Plantation/Polynesian Cultural Center tour, which offers admission to the island’s cultural landmarks, there are a variety of fun and educational tours to choose from.